Transport has the fastest growing greenhouse gas (GHG) emissions of any sector in the world. To reverse this trend, cities should rethink the way that residents move about their communities by developing mass transport solutions as an alternative to private vehicles. Failing to address this issue could result in severe negative impacts on residents’ health and the environment given that many cities are growing rapidly. Technology is already playing a key role in making transport more sustainable. Consider, for example, the case of city bus fleets. Many older bus models rely on inefficient diesel engines that produce harmful emissions. However, thanks to innovations in engineering and design, urban bus fleets are currently undergoing major changes that are helping cities dramatically reduce pollutants and emissions. Last year, the city of Brasilia—Brazil’s capital—completely renovated its bus fleet with impressive results. By phasing out its old bus fleet, Brasilia saw both an increase in air quality and an improvement in public health. An analysis conducted by WRI Brasil | EMBARQ Brasil revealed that the reform—along with a recent restructuring in local public transport lines and the implementation of a bus rapid transit (BRT) system—has the potential to reduce GHG emissions by 55 percent, equivalent to 200,000 tons of carbon per year. 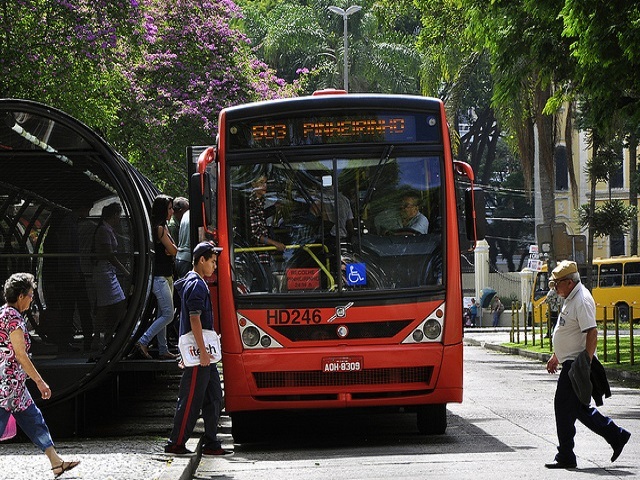 The study also found that Brasilia’s buses emit fewer pollutants, making local air cleaner. The fleet was equipped with Euro V technology, which uses diesel with low sulfur content. The Euro V technology reduced particulate matter emissions by 95 percent, amounting to a reduction of 95 tons per year. The study also found reductions in other major local pollutants within the Federal District, like carbon monoxide, NOx, hydrocarbons, PM10 and CO2. Another Brazilian city that has successfully transformed its bus fleet is Curitiba. Beginning in 2005, the city began acquiring vehicles that met Euro III standards, which produce cleaner exhaust. Over the next six years, the city was able to bring nearly all of its 1,915 buses up to the same standard. As a result, the fleet—which had an average age of 4.6 years per bus—produced emissions 35.7 percent lower than the limit established by Brazilian law. 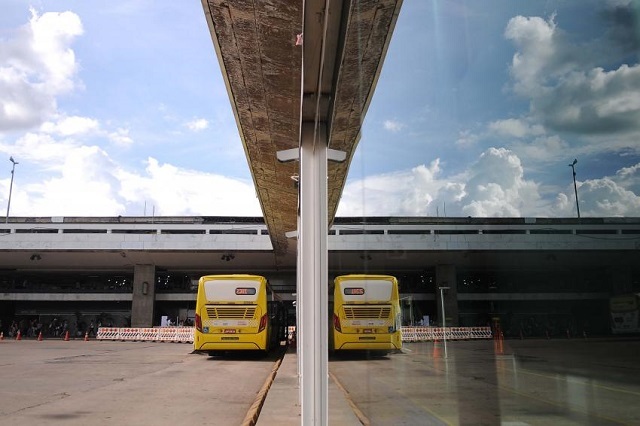 To ensure that the buses delivered on the promise of low emissions, Curitiba performed 3,153 opacity tests on the system over the course of a year. Since 2012, the city has been incorporating a hybrid model, known as the “Hibribus,” into its fleet. Powered by both electricity and diesel, each hybrid vehicle replaces 10 vehicles. These hybrid buses now run throughout Curitiba on the city’s primary bus route. There is no quick and easy recipe for cities to follow when reforming transport. Simply put, context matters. Differences in fuel economies, local laws, bus routes, transport demand, and air type all affect how effective various bus models will perform. However, resources exist for weighing the many costs and benefits of various fuels and technologies. Research by Magdala Arioli, Erin Cooper and Aileen Carrigan of WRI Ross Center for Sustainable Cities helps cities calculate how these diverse geographical factors in impact public health and the environment. Bus efficiency will be one of the items on the agenda at the Cities and Transport International Congress in September in Rio de Janeiro. To register and learn more about the conference, click here.